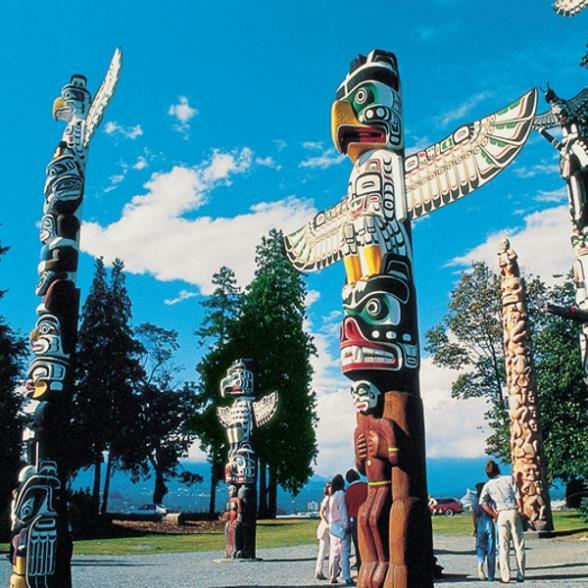 This nine-day Canadian adventure starts in Vancouver where you'll explore the unique neighbourhoods, sample the exquisite culinary scene, shop on chic Robson Street or relax on English Bay Beach. The city tour included showcases the best of Vancouver's sights. 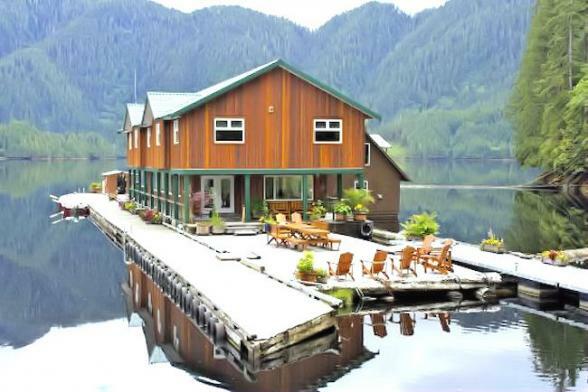 Next, fly from Vancouver to Port Hardy and by float plane arrive at Great Bear Lodge, Vancouver Island. 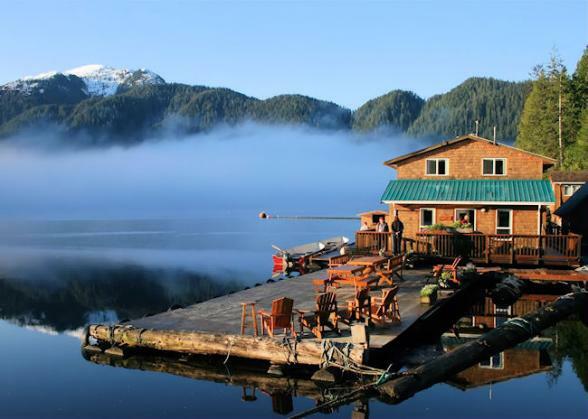 Spend 3 nights in this rustic floating hotel where you'll get up close to grizzlies in their natural habitat with opportunities to hike and sea kayak. This is the perfect city and 'back to nature' holiday experience. Welcome to Vancouver. Make your way to the 5* Fairmont Waterfront Hotel, your luxury home for the next 4 nights. Enjoy amazing ocean views over Burrard Inlet with Gastown and Robson Street only minutes from the hotel. You'll be spoilt for choice when it comes to the trendy eateries and shopping boutiques. Enjoy your day exploring this beautiful, cosmopolitan city. Start the day with a sightseeing tour of the city. Enjoy a spot of shopping on Robson Street, the beautiful Stanley Park and English Bay Beaches, the culinary mecca Granville Island and historic Gastown. 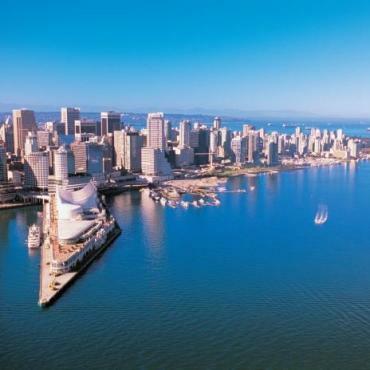 Final stop is the Vancouver Lookout where you will enjoy spectacular 360 degree views of the city. 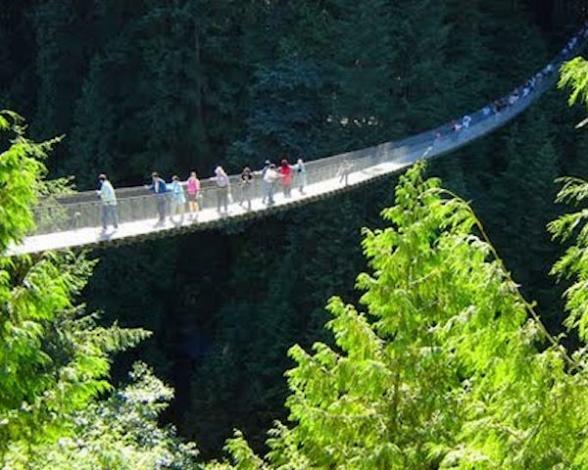 In the afternoon you may wish to consider a whale watching cruise or a trip to the Capilano Suspension Bridge or Grouse Mountain. Bon Voyage would be happy to pre-book these extra excursions for you. 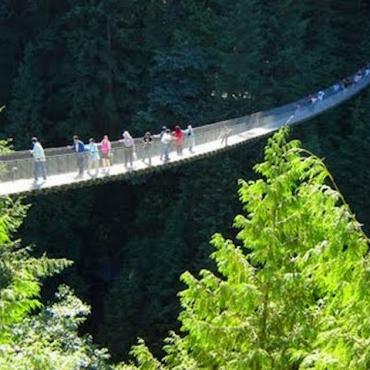 Enjoy the freedom of exploring Vancouver by foot. Mooch the various neighborhoods or revisit stops from your city tour. If you fancy viewing Vancouver from the air then you may enjoy an exhilarating Seaplane Adventure. 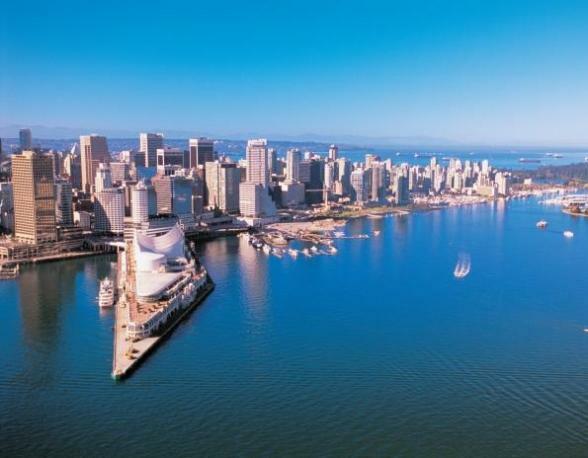 Glide across Vancouver's Coal Harbour and enjoy a birds eye view of the surrounding mountains. 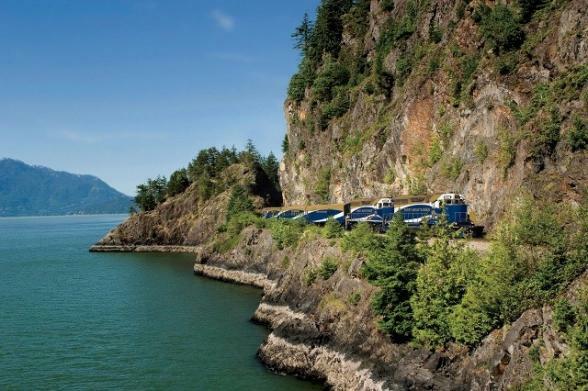 Also worth considering is the amazing Sea to Sky Climb excursion on board the Rocky Mountaineer train. 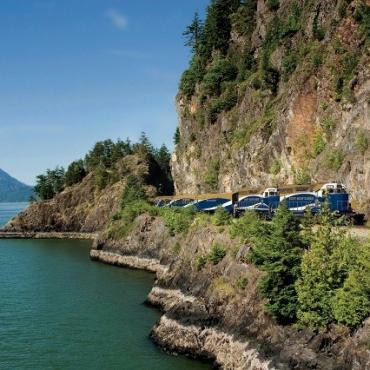 On this day trip from Vancouver, you'll experience the incredible Sea-to-Sky region of British Columbia from the comfort of your assigned rail seat which we'll arrange for you. It's time to leave city life behind. 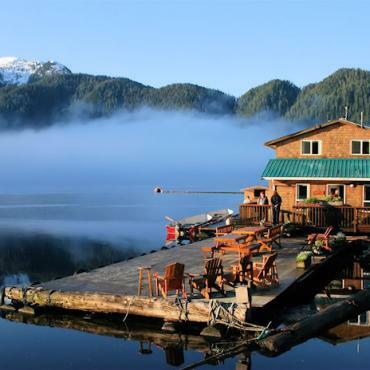 The 70 minute flight to Port Hardy will leave you enough time to explore this charming town before being transferred to the float plane terminal for your scenic flight over the Queen Charlotte Strait to Great Bear Lodge. 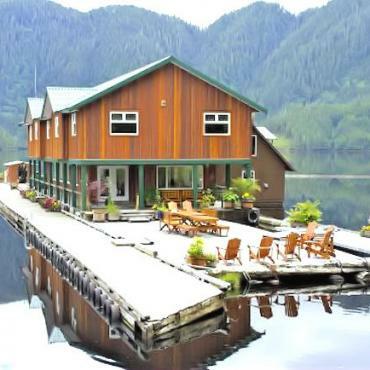 This self-contained floating lodge is situated in wilderness bliss. With only five bedrooms, this rustic idyll is intimate and serene. Each guest room has a washroom, with hot showers located downstairs. 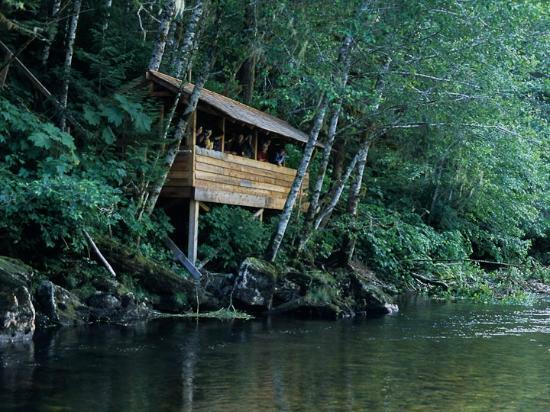 The lodge is proud of it's commitment to low-impact eco-tourism with wind, solar and hydro power. Natural wood decks surround the lodge making a perfect place to enjoy a glass of wine and the scenery. 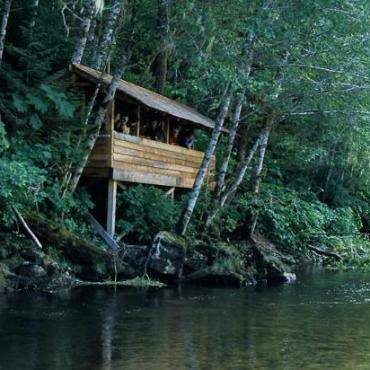 After a brief introduction to the lodge and the surrounding area you'll head out on your first grizzly bear excursion. 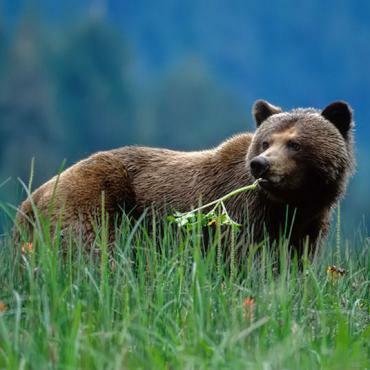 After a hearty breakfast you'll be on the trail of the grizzlies again. The bears are generally most active in the early morning and late afternoon. A typical viewing session lasts three hours and is tailored to the activities of the bears and their chosen habitats. In the autumn, grizzly bears congregate at the river to take advantage of the best food source available on the coast, Pacific salmon. Watch as each individual bear demonstrates its own fishing style, from methodically checking under riverbanks with their paws to charging up the river after salmon. After a morning of adventure, you'll return to the lodge for lunch and a chance to relax and enjoy the scenery. In the afternoon, explore the surrounding area with a guide then it's back for another bear viewing session. In the evening enjoy a gourmet meal and a chilled glass of wine. Do as much or as little as you like today. After your morning bear session, you might enjoy a guided sea-kayaking tour of the estuary or explore the glacier-carved inlet by boat. Or, relax in the sanctuary of the lodge and breathe in the fresh air. 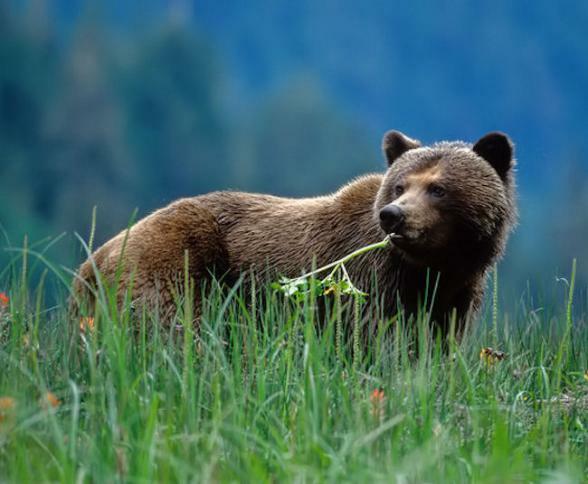 After a morning session with the bears, enjoy a delicious lunch before your transfer to Port Hardy. 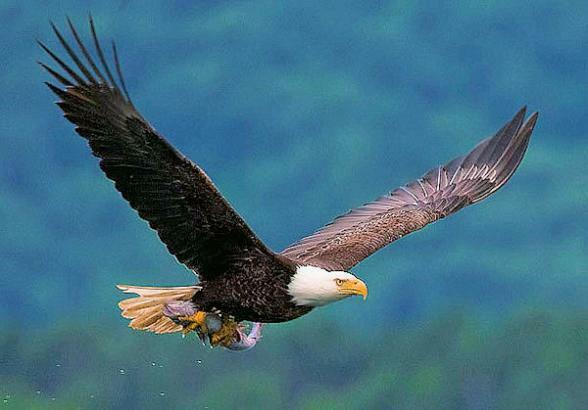 Spend the afternoon picnicking at Storey’s Beach or spotting bald eagles along the riverside. Shop for art, books and local crafts on Market Street. Check out the colourful murals painted on downtown buildings or snap pictures of the chainsaw art at Carrot Park. Port Hardy Museum & Archives houses 8,000 year-old native artefacts and a recreation of a Danish settler’s cottage. In the evening, sit ocean front and dine at one of the lively eateries. 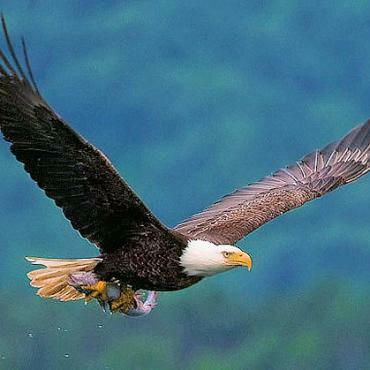 It's an early morning flight from Port Hardy to Vancouver for your return transatlantic flight home. This doesn't have to be the end of your adventure. Perhaps you may want to extend your stay and include a scenic Rocky Mountaineer Train ride to Calgary for a few days or maybe spend some time on a ranch. Call the USA travel specialists at Bon Voyage to discuss your perfect Vancouver and Great Bear Lodge adventure.